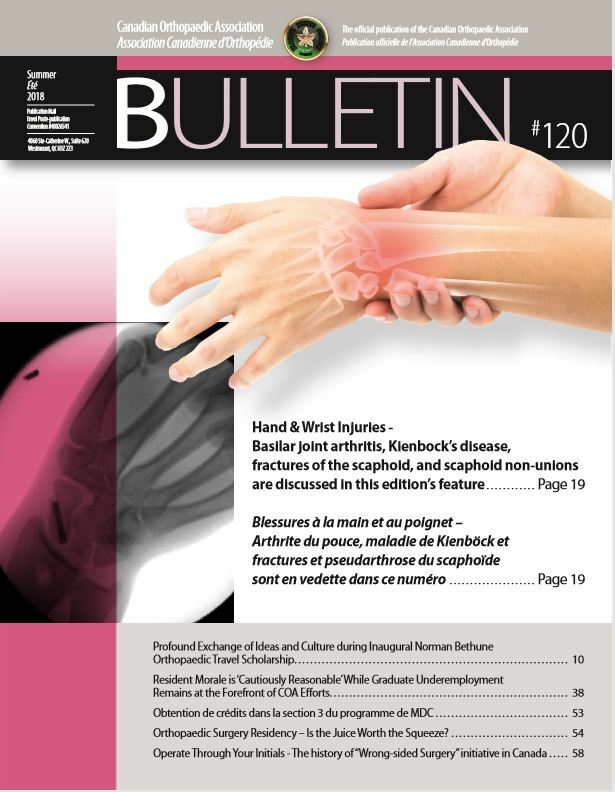 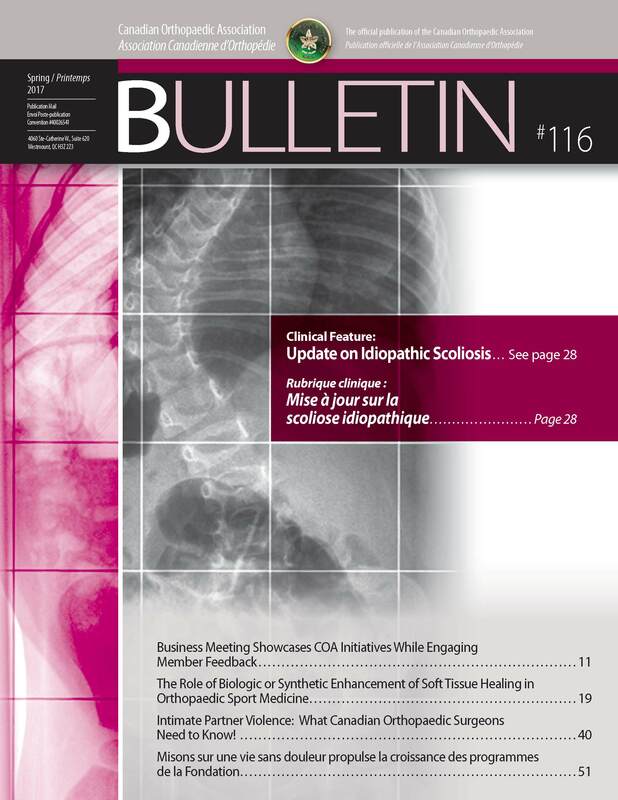 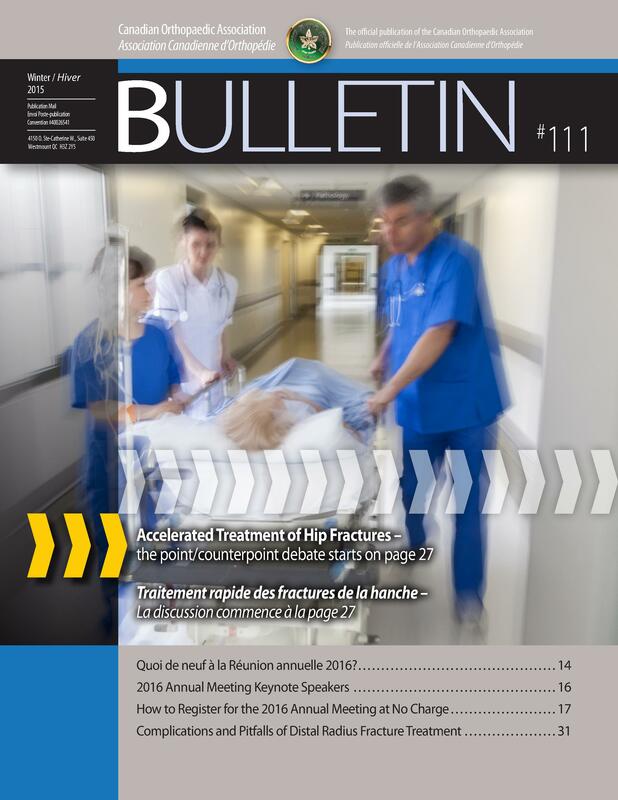 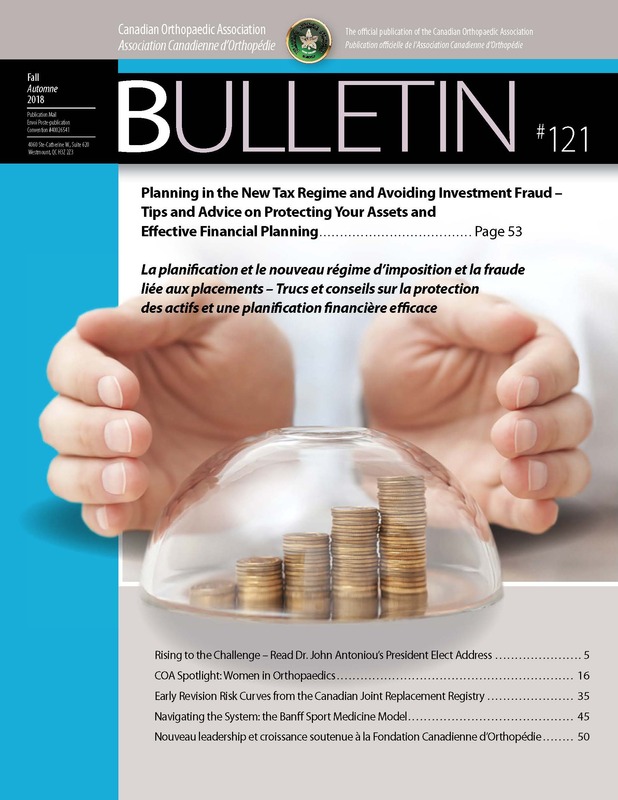 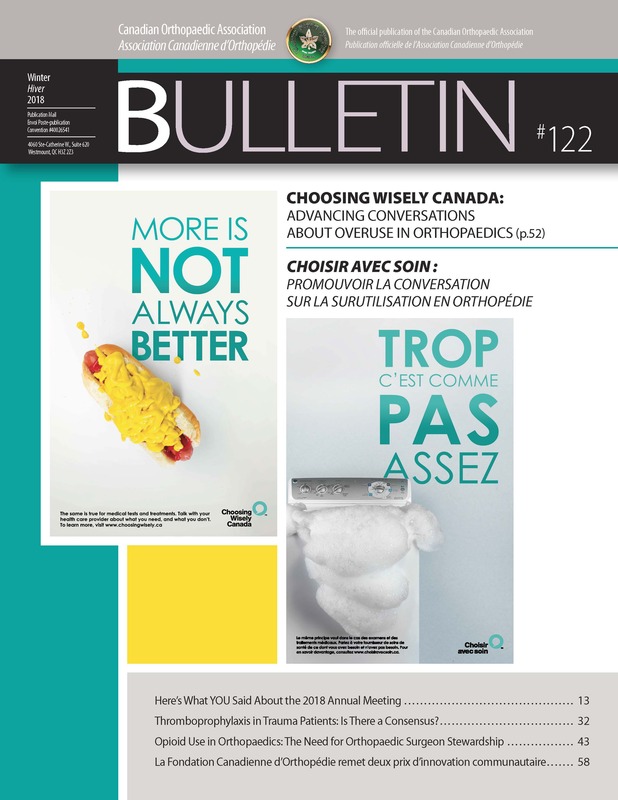 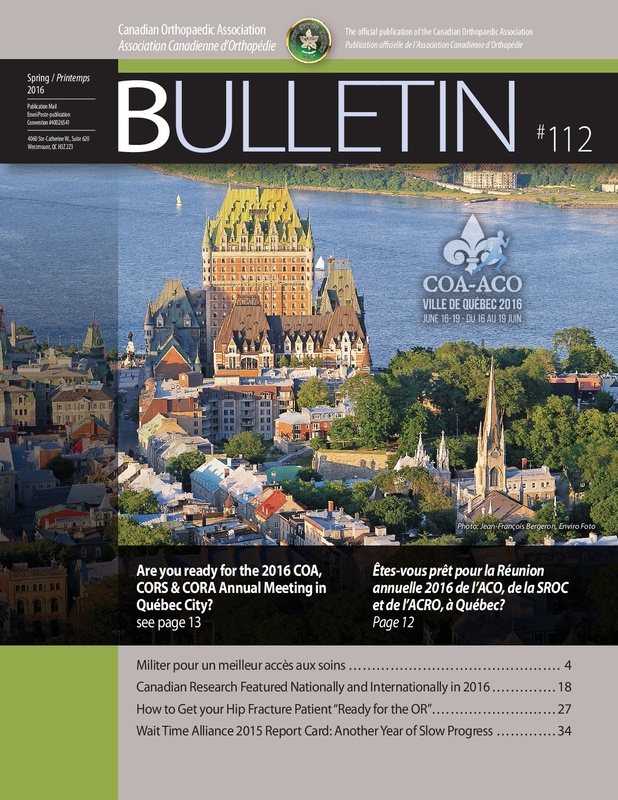 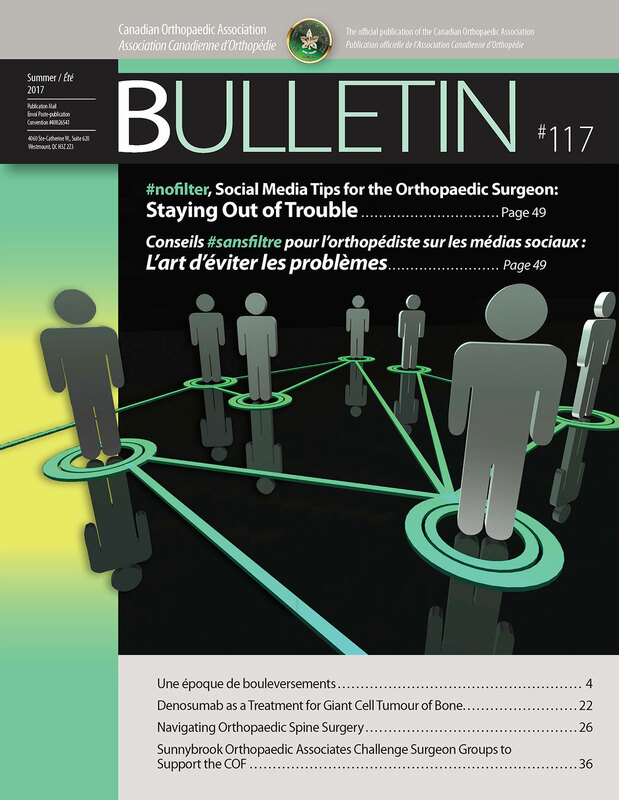 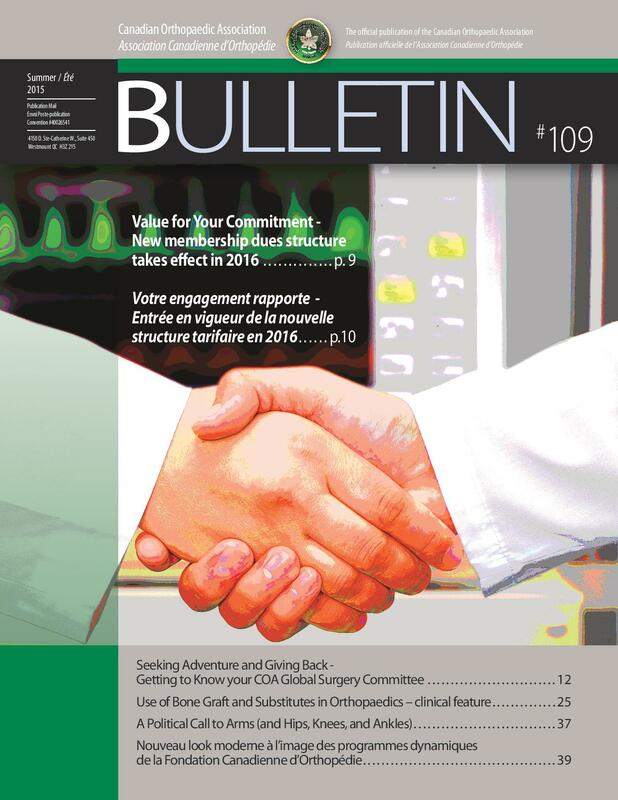 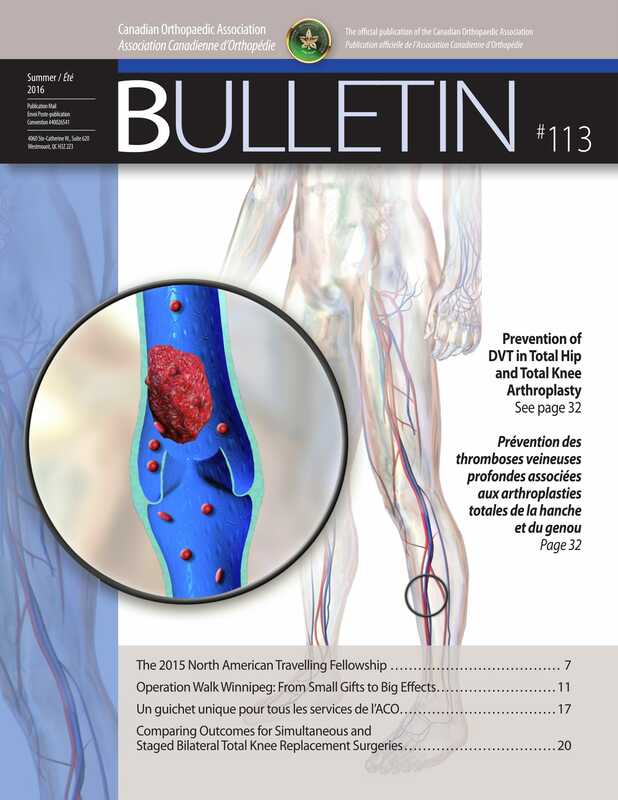 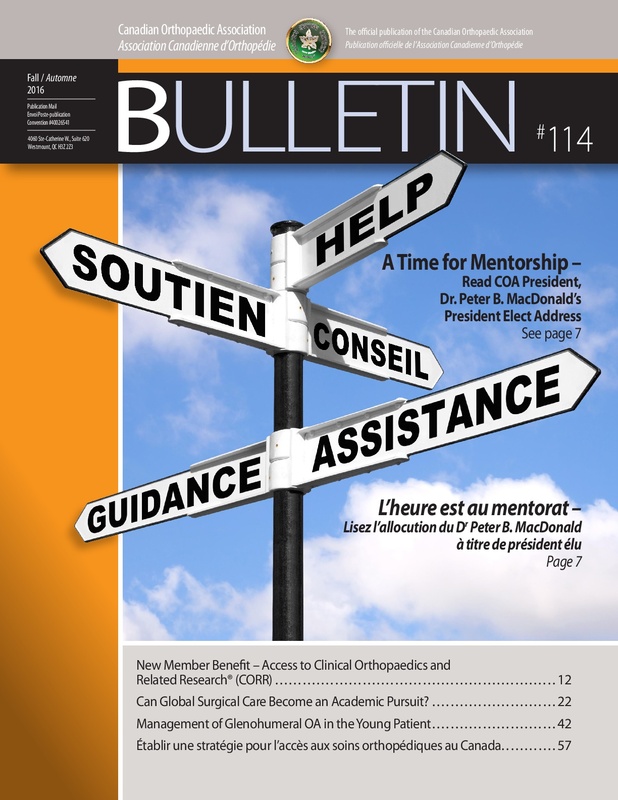 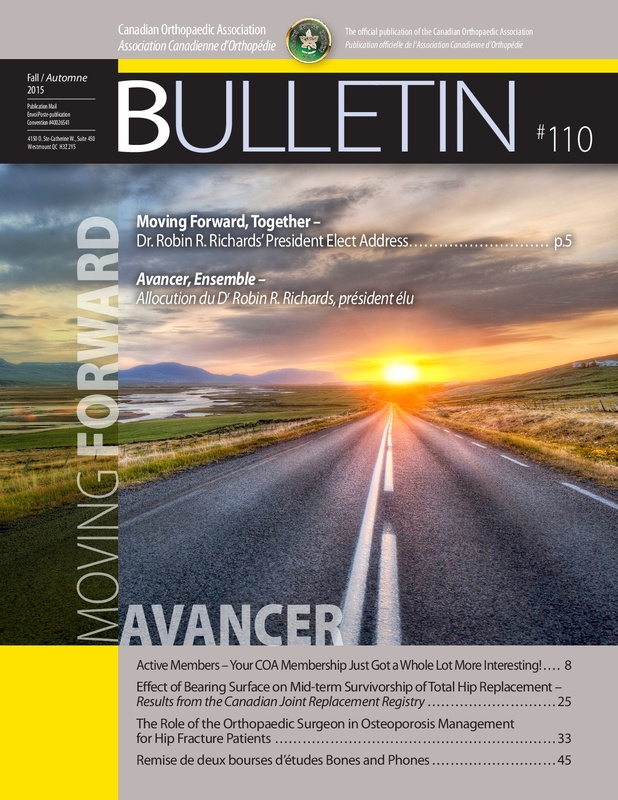 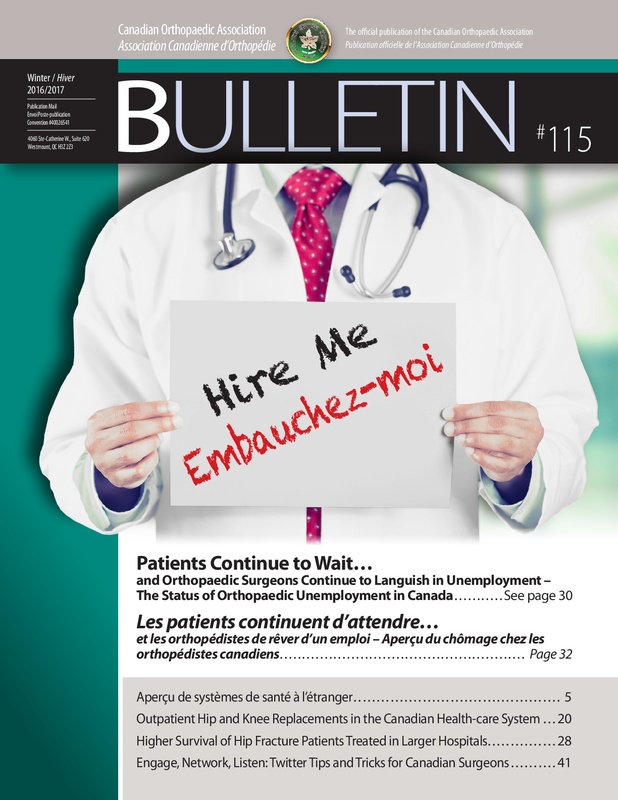 The COA Bulletin is the official journal of the Canadian Orthopaedic Association. 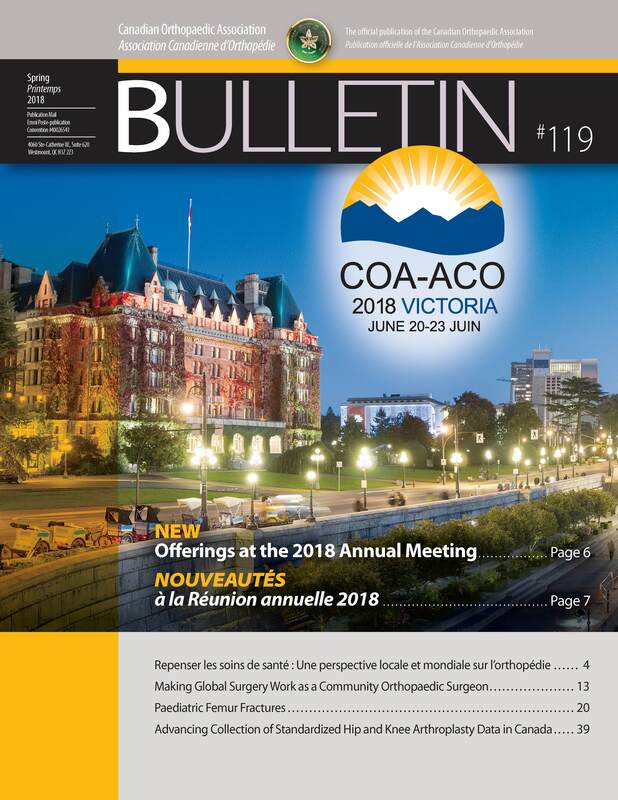 Published exclusively on the COA web site, the Bulletin is the premier method of reaching the Canadian orthopaedic community. 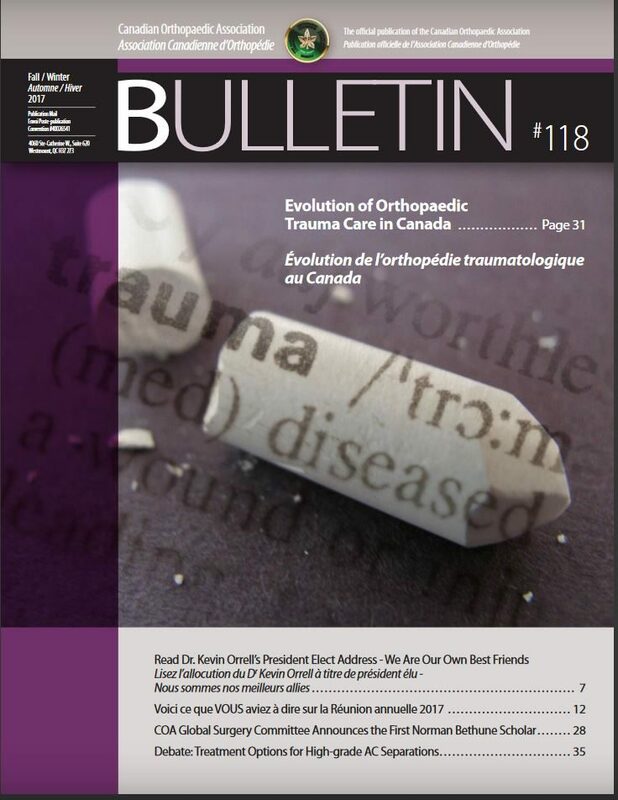 Clinical features and debates, practice management tools and tips, article related to advocacy efforts, updates from the Canadian Orthopaedic Foundation, as well as COA news and initiatives are featured in each edition. 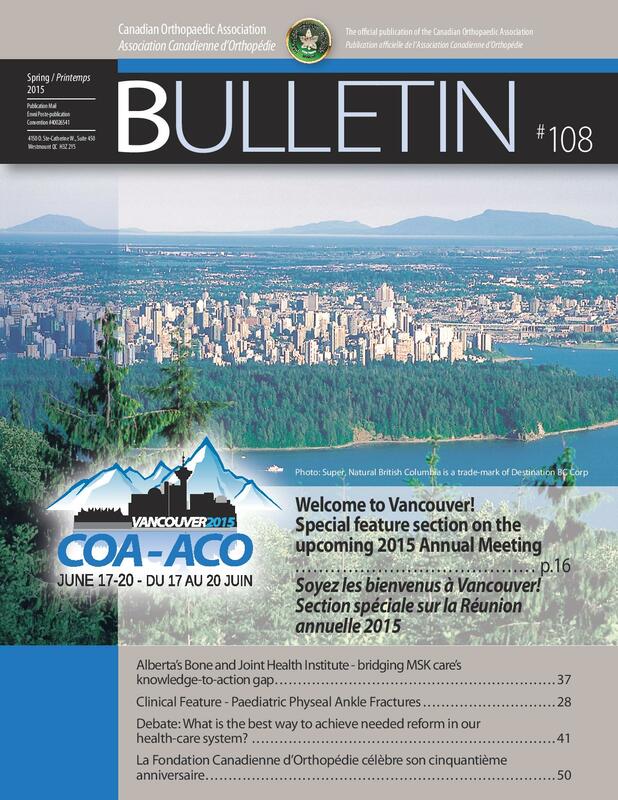 Click here to view the advertising rate card for pricing and material specs.